This beautiful arched mirror features an iron frame with a distressed gold leaf finish. 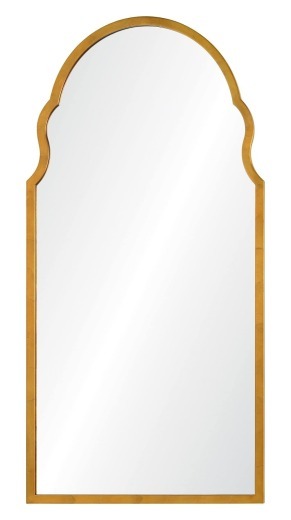 Designed by acclaimed designer Bunny Williams, this mirror features a non-beveled center. The mirror is hand welded.